After months of waiting the Hologram tutorial is finished! I had quite a bit of trouble working out how to explain this one, so hopefully it turned out alright :). I'm hoping to get another tutorial out next week, just haven't worked out what to teach yet haha. Haven't managed to get anything else done yet, but I'll give a screenshot of a very short (4 minutes ish) film that'll hopefully be coming out next week or the week after. It's an absurd action comedy set in the universe of Bunny (*the 1 person who remembers what that is groans*). 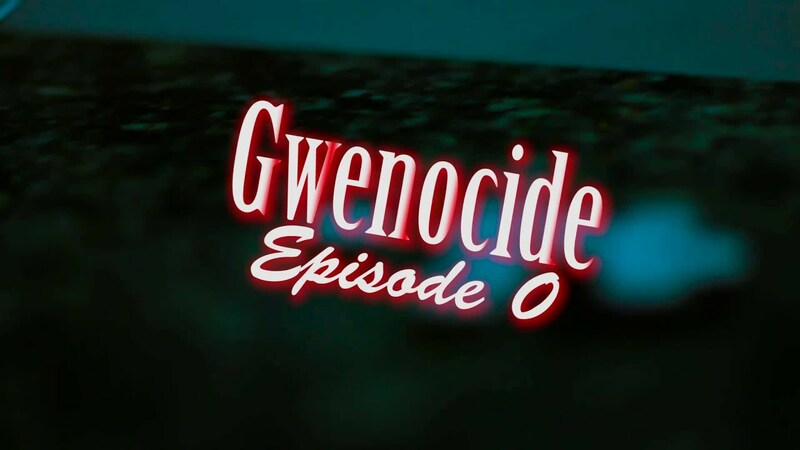 Other than that, just been playing around with ideas for Gwenocide, haven't settled on how the remaining episodes will play out so no scripts or footage to share. Bad Reviews of (Mostly) Good Movies! Seen a lot of films recently! Gaaah such a great film! I could have sworn I mentioned it in a blog post but I guess not. Saw it again for the third time and damn does it hold up well on multiple rewatches. It's thoroughly entertaining, does a great job of explaining how it all went down in an engrossing fashion. Directing and acting is top-notch, and the score fits every scene perfectly. Honestly there isn't really anything to fault about this film apart from maybe the obvious joke here and there. Just go see it, even if you don't like political dramas you'll probably like this, it does a great job at showing the crisis through the eyes of actual people, not just through figures and charts. Think both are pretty good films, although I prefer The Dark Knight Rises. I just can't accept secret cults and ninjas in this more grounded universe, whereas somehow the Joker works perfectly. I'd chalk it up to the genuinely amazing performance put into him (seriously the number of minor expressions, ad libs and gestures and just fantastic, and the eyes, it's all in the eyes and the Joker's eyes are perfect (yeah that probably just sounds weird but anyway)), and the more interesting and involved theme of justice in a corrupt world. I'll admit it can be a bit on the nose at times, but for a superhero film it's pretty smart I guess, and the action is great. Oh and directing, acting and score is fantastic as well. One last thing that wins me over is the scene where the Joker plummets off the building, for some reason that scene just gets me, adrenaline and everything and it's just the most excited and involved in a film I've felt in ages. Saw all the Alien films (1-4). Loved Alien (who doesn't right? ), and Aliens was pretty fun and had great action, no matter how dumb it was. I've always been absolutely terrified by H.R Geiger's screwed up creature and it's definitely at its best in Alien. I find the way the enemy changes continuously throughout the film means you're never accustomed to what's going on which enhances the tension. Of course there are a few parts that haven't aged too well, the once terrifying chest-burster scene is now pretty funny and some of the alien's movements can be a bit mechanical, but overall it's still a really good film. Aliens was a fun action film, which from what I understand basically created the genre of sci-fi military action films (Like Avatar),so that's cool I guess. The aliens are a lot less scary in this one, although I find a lot of the action scenes still aren't "fun cool" action and more "oh crap run" action which I prefer. On the controversial back-end of the quadrilogy, I actually liked Alien 3 (saw the "director's" cut). The plot could definitely be better (although were some interesting themes semi-explored in there) and some of the alien puppetry looked pretty bad. However I prefer the aliens to be scary and in Alien 3 they were...like really scary. The visuals and score were spectacular and I found - just as an experience that isn't thought about tooooo hard - it was a really good film. I'm just kind of sad since it was so close to being a fantastic film but ended up being...not, especially under closer inspection. I can understand why lots of people don't like it, the film is also extremely dark with a large amount of comedy coming either from sadistic irony or character moments spread few and far between. Alien 4 on the other hand was so far from being good that it was enjoyable as heck. Just everything was dreadful from the plot, the acting, the camera work, the directing, the score, everything. So that was a hilarious and entirely forgettable mess. In all honesty, I don't like most Marvel films. I wasn't a big fan of The Avengers and in general find their movies predictable, and incredibly fun garbage (hence why I've seen almost all of them haha). This doesn't change toooo much here, although I think this film was a step above its predecessors. I know a lot of people didn't buy into some of the reasons characters chose sides, but they all made sense to me and the debate being had seemed reasonable. I was actually really impressed by the script for being able to manage this huge cast of characters in such a seamless way, all the characters had suitable development. I also really liked the film taking a more grounded approach in showing how much damage previous films had caused which was something that took me out of those a lot. Look, maybe I watch superhero films for the wrong reasons, but yeah I think this one was a lot better than the others. Oh and also THE NEW SPIDER-MAN IS FANTASTIC AND WAS COMPLETELY POINTLESS IN THE FILM BUT AAAAH!! It's so good to see another decent Spider-Man, really made me think of Tobey Maguire's Spider-Man but younger. I really didn't think Andrew Garfield was a good Spider-Man (not to mention the horrible scripts and directing in the films he starred in) so I'm hoping the new set of Spider-Man films are good (I'm sure they'll be as generic as most of the other Marvel films but 'eh, I can hope). Time Lapse was an interesting sci-fi about a camera that takes a picture a day into the future every 24 hours and the problems this creates for a small group of friends with differing opinions on how it should be used. I thought the film's pacing could be improved, and I found some of the plot to be a little disappointing in terms of how separate it felt from the main themes of the film. However particularly the first 30 or so minutes are really strong, and the directing is great; with pretty much the entire film taking place in two rooms the use of camera angles and lighting help make it still seem fresh. I also really liked the idea of the artist (as usual I can't remember anyone's names, sorry!) gaining inspiration from photos of his paintings from the future, I thought that was an interesting idea. Performances were all pretty solid for the most part as well. I'd say the film wasn't the greatest, and had a lot more potential that it wasn't able to strive for just due to its limited budget; what is there though is still a pretty good watch so I'd recommend it. Oh, also just remembered I saw Every Secret Thing. I...I wouldn't say it was bad, but it was wholly forgettable. I found the performance of the leads to be underwhelming to say the least, although was surprised at the competency of the child actors. The story was alright, but was stretched out too much and clearly shown out of chronological order in order to make it seem more complex than it really was. I'll admit there were some interesting shots directing wise though, so I enjoyed a couple of those I guess. I think my main issue with the film is just how incredible dull the entire thing is; cast in a gray tint, filled with people that just seem bored and unhappy, glacial pacing and yet including scenes that are just straight up pointless. Darkness doesn't work (on me at least) without contrast, lighter moments sprinkled in to juxtapose and make the darker ones stand out. In this film everything is just so grim it creates a divorce between me and the main characters that crushes any immersion and empathy I may have had. I couldn't say I'd recommend it, unless you're in to that sort of grim and meandering story I guess. Anyway hopefully I'll be back in a couple of weeks with some more completed stuff, thanks for reading :). 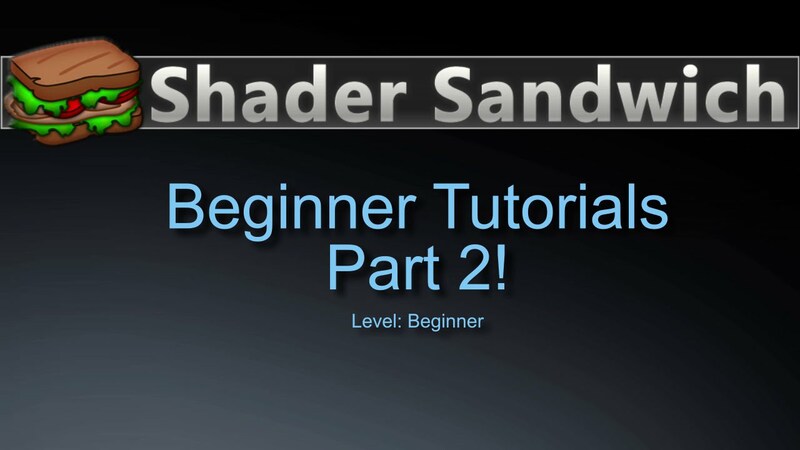 I've finished a bunch of Shader Sandwich Tutorials! 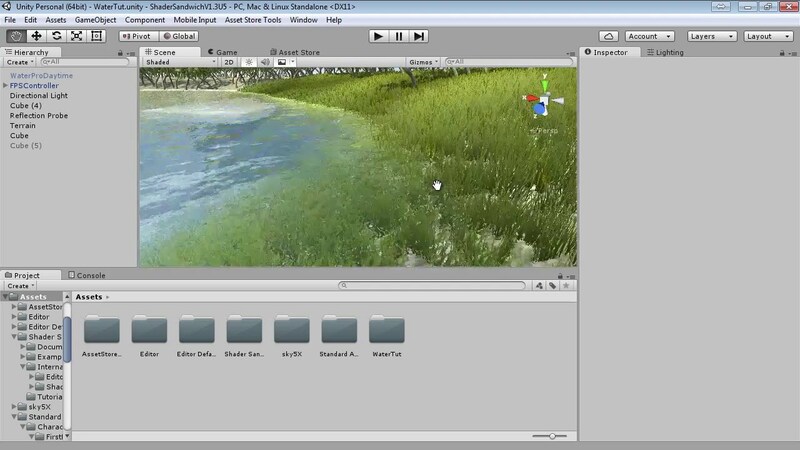 And here's a more advanced one, a water shader tutorial! I also figured I'd make a vlog, since it'd be fun and also useful for those who subscribed to my channel without realising how eclectic it is haha. Alright this one was pretty short, but yeah :). Thanks for reading! So yup, that's what I've been up to. I've probably missed a few things, but if so I'll cover them in the next post (which hopefully won't take a month!!!). Anyway hey everyone! I'll cut right to the chase, Shader Sandwich V1.3 is finished! I've sent it to the Asset Store team, should be online in a week :). 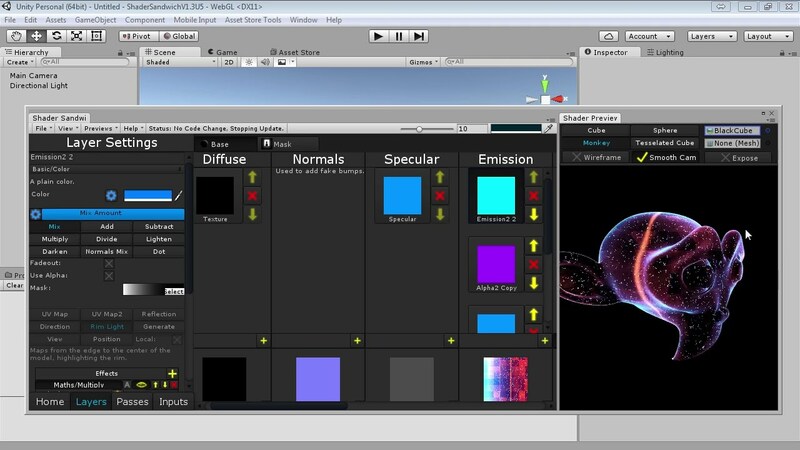 - No longer Surface Shaders, so more possibilities in the future!! - ZTesting and render queue selection added. - A whole lot of bug fixes..
Alright so now for the excuses as to why it's taken more than four months to make this!! First off I'm really sorry to all my customers, I'll be making a proper apology on the asset store thread, but yeah I feel really bad for how crappy I've been in supporting Shader Sandwich recently. In all honesty I don't have that many good excuses, it mostly came down to me prioritizing school and film making over Shader Sandwich. Basically, what happened was I had been working on this version a few months back and had started on pretty much every new system (volumetrics, code editing, POM shadowing and proper edge clipping, the new shells system etc etc), and in all of them I hit road blocks. I spent weeks and weeks trying to solve them but I just couldn't, mostly due to bugs or limitations in Unity. So I slowly started to give up, and around this time school was kicking into full swing so I started to dedicate more time to that, and using my free time to make short films. 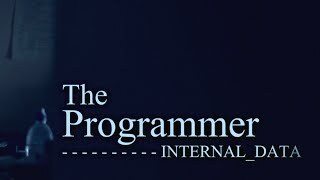 I was just really really really really really really really sick of programming! Haha XD. But anyway, about a month ago I got an email from Unity saying my asset would be going on sale for their Level 11 customers, which made me realize how much I'd benefited from the previous sale and how little I'd given my customers in return, so I felt really crappy and decided to dive head first back into Shader Sandwich and get the next version out. I pretty much had to scrap all the work I'd done on the next version up until that point, as I decided to leave the comfort of Unity's Surface Shaders and completely rewrite shader generation. And so I did that! I improved the interface along the way, and added a few new features that I literally could not have previously due to the Surface Shader system. I completely forgot to mention the part where my harddrive failed and I lost tons of work, and how I'm currently working off a small FAT-32 drive which is making everything a pain haha XD. So now I'm at the point where I can release what I have, I know it's not much and most of the changes are in the back end of Shader Sandwich rather than in noticable features, but hopefully now I'll be able to develop for it alot quicker and get in all the other features I'd promised :). - lots and lots of tutorials!!! On that last note, I'll be posting a bunch of new tutorials in a few days. The main reason I waited for that was since I knew I'd be changing the interface a bunch and didn't want them all to go obsolete, of course the version took way longer than expected, sorry :(. I also wrote/performed/made people's ears bleed with a couple of songs, you can find in under the Creations menu in...songs! Pretty crazy I know XD. They're mostly emo shite that was made literally for me to listen to, so they aren't very good but I figured hey, why not chuck them online. So there ya go. 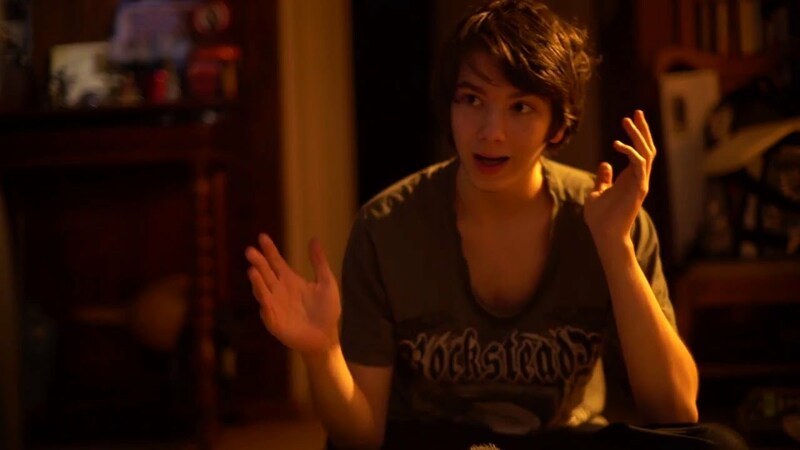 Yeah, I have a Twitter account now, I'm not sure why but it's there :). I mostly just post junk but there were a few updates for Shader Sandwich as well :). So yeah that's my monster of a post explaining...something? I'm not really sure, but anyway hopefully those of you still out there enjoy the Shader Sandwich update, I'll be posting on the asset thread shortly. Thanks for sticking around!